1. 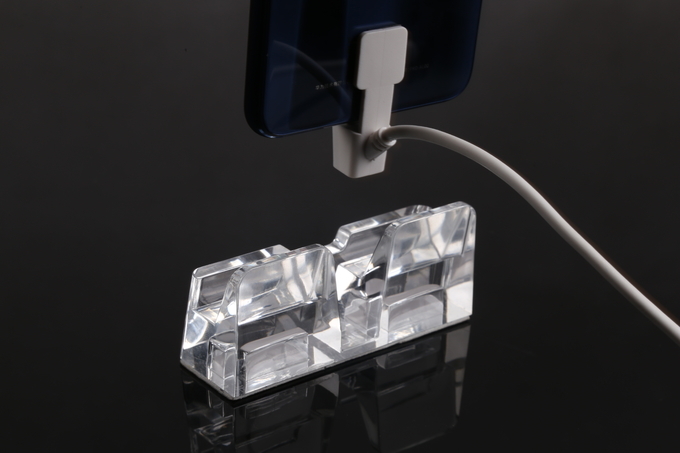 Main material: Acrylic +ABS (display stand holder), Alloy (alarm Host). 2. 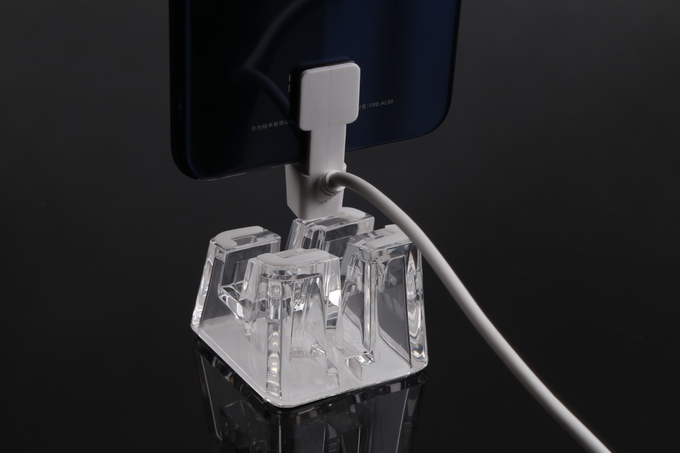 Description: 2 ports alarm host+ 2 mobile phone acrylic display stand holders. 3. Installation methods: strong paste-style, easy to operate. 4. Versatility. 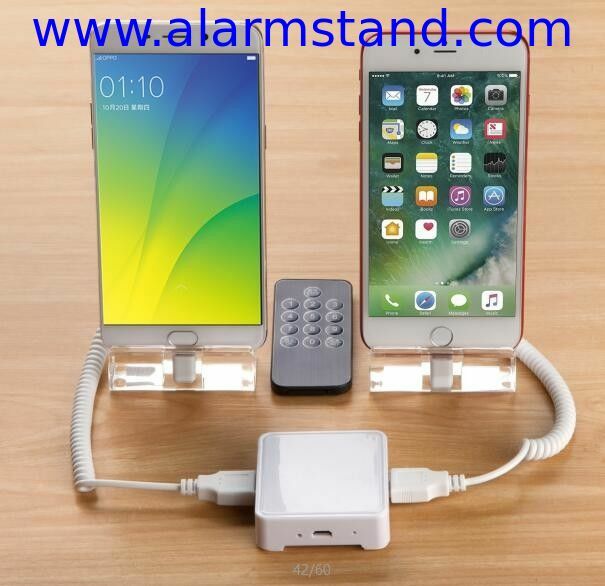 Matched With a suitable charging cable or sensor, it can be used to protect many merchandise on exhibition, such as protect smart mobile phones, E-reader, Tablet PC and other electronic products. 1. 2 outputs (two ports), anti-theft alarm controller. 2. Built-in rechargeable lithium battery, internal high-decibel buzzer. 4. Distant remote control decoding technology. 1. Alarm when any wire is cut off. 2. Alarm when phones is removed by force from the sensor or the display stand . External high decibel buzzer, louder alarm. Smart alarm detection, much safer. The triple unlock structural design, more reliable equipment. 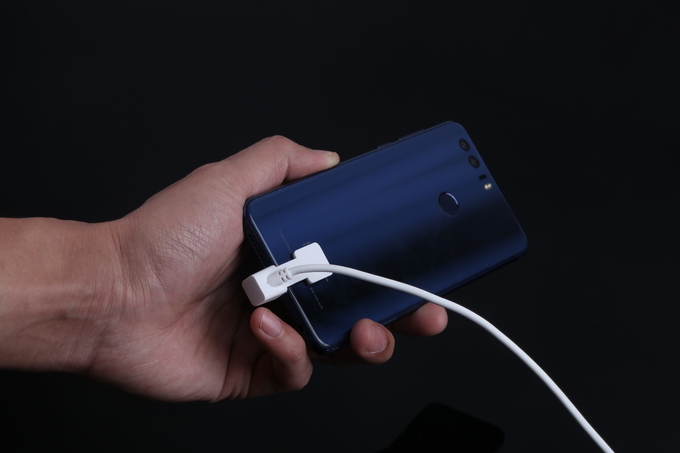 Ultra-low-power processing technology, standby is more durable.